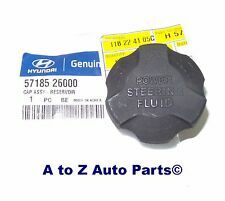 You are purchasing one new OEM Hyundai power steering reservoir cap. HYUNDAI SANTA FE. 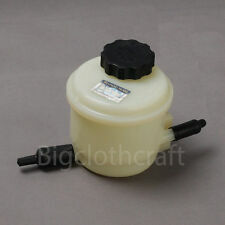 POWER STEERING RESERVOIR CAP. 06-11 Hyundai Azera Azera 3.3L 3.8L 2006 - 2011. 06-10 Hyundai Sonata Sonata 2.4L 3.3L 2006 - 2010. Power Steering Pump Reservoir. Hyundai / Kia OEM. Manifold Lamp Knuckle Hub Hose Grill Flywheel Emblem. 5757126101 Power Steering Suction Hose OEM for Hyundai Santa fe 2001-2005 2.7L. 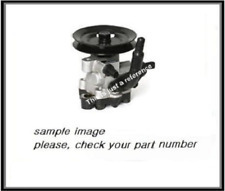 Hyundai part number 5757126101. Be sure the part you are buying is correct for your application. All our parts are (NEW OTHER) unless otherwise specified. Trending at $27.24eBay determines this price through a machine learned model of the product's sale prices within the last 90 days. 2002-2005 Hyundai XG350. 2001 Hyundai XG300. Genuine OEM. 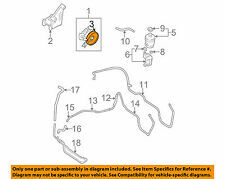 03 - 08 FITS HYUNDAI TIBURON. 1 GENUINE POWER STEERING PRESSURE HOSE. This part included Hose & Tube Assy. Genuine Parts Product. Country of Manufacture : South Korea. 2010-2012 Hyundai Genesis Coupe 2.0L L4 - Gas. Power Steering Pressure Hose. Manifold Lamp Knuckle Hub Hose Grill Flywheel Emblem. Injectors Tie Rods Switch Strut Speed. O2 Sensors. Engine Bearing. Engine Valves. 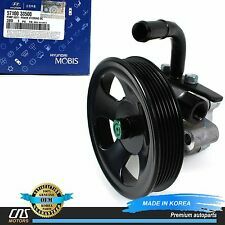 $CNU489 01 - 05 FITS HYUNDAI XG300 XG350 3.0L DOHC V6 G6CT / 3.5L DOHC V6 "SIGMA G6CU" BRAND NEW GENUINE POWER STEERING PUMP 01-01 HYUNDAI XG300 3.0L DOHC V6 24V, ENG.CODE "G6CT" 02-05 HYUNDAI XG350 3.5L DOHC V6 24V, ENG.CODE "SIGMA G6CU" 1 GENUINE POWER STEERING PUMP MADE IN KOREA. 06 - 10 FITS HYUNDAI SONATA. 1 GENUINE POWER STEERING PUMP. Genuine Parts Product. 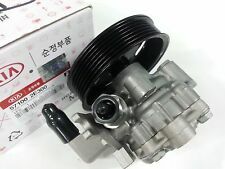 2.4L (2359cc) DOHC L4 16V, "THETA II G4KC". OEM Power Steering hydraulic Pump Reservoir Tank 2010 2011 2012. 2013 2014 2015 2016 GENESIS Coupe 3.8L 2.0L. Hyundai / Kia OEM New. Power Steering Pump. Manifold Lamp Knuckle Hub Hose Grill Flywheel Emblem. Injectors Tie Rods Switch Strut Speed. O2 Sensors. Engine Bearing. Engine Valves. Fits 09 - 12 HYUNDAI VERACRUZ. GENUINE POWER STEERING PRESSURE HOSE. 1 GENUINE POWER STEERING PRESSURE HOSE. 09 - 12HYUNDAI VERAC RUZ 3.8L DOHC V6. Genuine Parts Products. Fits 07 - 12 HYUNDAI VERACRUZ. 1 GENUINE POWER STEERING PRESSURE HOSE. 07 - 12HYUNDAI VERAC RUZ 3.8L DOHC V6. Genuine Parts Product. We specialize in Hyundai and Kia application parts and you can expect. We will continue to work until you are satisfied! If there is any factor that you were not. $CNH836 01 - 06 FITS HYUNDAI SANTA FE 2.7L (2656cc) DOHC V6 24V, "DELTA G6BA" BRAND NEW GENUINE POWER STEERING PRESSURE HOSE 01 - 06 HYUNDAI SANTA FE 2.7L DOHC V6 24V, ENG.CODE "DELTA G6BA" 1 GENUINE POWER STEERING PRESSURE HOSE Country of Manufacture : South Korea Genuine Parts Product This part included Hose & Tube Assy. 2017-2018 Hyundai Elantra, Kia Niro: 2017 Ioniq. 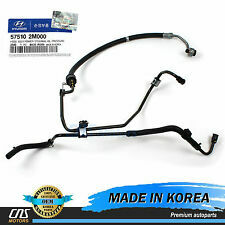 Genuine Hyundai Part. OEM Traders International. OEM TRADERS INTERNATIONAL. Inventory ID: 232676. Interchange Part Number: 553-59377. Manufacturer Part Number: 56330-F2000. 96-00 Hyundai Elantra P/s pressure hose, Elantra - power 1996 - 2000. Power Steering Hose. 97-01 Hyundai Tiburon P/s pressure hose, Tiburon - power 1997 - 2001. Hyundai / Kia OEM New. Manifold Lamp Knuckle Hub Hose Grill Flywheel Emblem. We will continue to work until you are satisfied! If there is any factor that you were not. 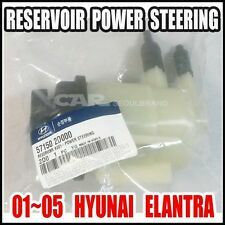 Hyundai part number 575103D100. Be sure the part you are buying is correct for your application. All our parts are (NEW OTHER) unless otherwise specified. They may have been in storage anywhere from 1-30 years. Hyundai / Kia OEM. 99-00 Hyundai Elantra Elantra 2.0L 1999 - 2000. Manifold Lamp Knuckle Hub Hose Grill Flywheel Emblem. Injectors Tie Rods Switch Strut Speed. O2 Sensors. Engine Bearing. Engine Valves. 10 - 14 FITS HYUNDAI GENESIS COUPE. 10 - 14HYUNDAI GENESIS COUPE 2.0L DOHC L4 TURBO. 1 GENUINE POWER STEERING PUMP. Genuine Parts Product.